Why should pleasure be guilty? Why can't your gut be happy and not flabby? When you treat yourself, it doesn't have to be a catch-22. Here are a few of the foods you crave the most when trying to choose a healthier lifestyle, but your gut is stuck on its old habits. Remember, there are ways to turn guilty cravings into decadent treats that make both you and your body happy. When I started my health journey, struggled with eating things like rice, bread, as well as chips and ice cream. Now, I only eat these very sparingly as treats— I didn't quit them cold turkey. 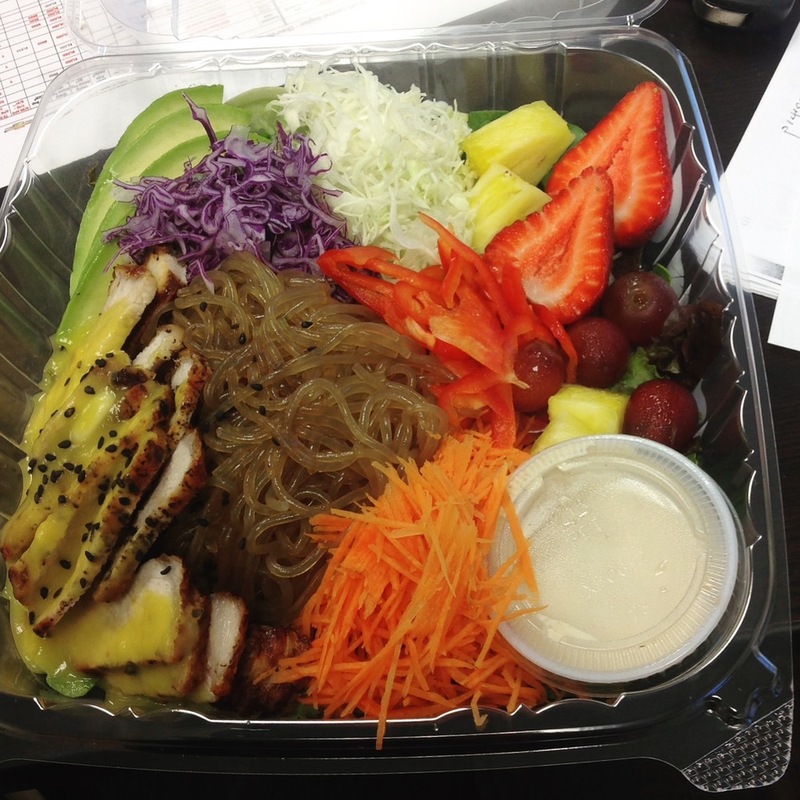 Instead, I found healthy substitutions for some of my favorite foods. They had more nutritional value and in many cases, less calories, carbs, and fat. These are just some of the healthy substitutions I recommend when first starting to change your eating habits. These small improvements alone will immensely improve your health and fitness. Stop using canola, corn, and cottonseed oil! 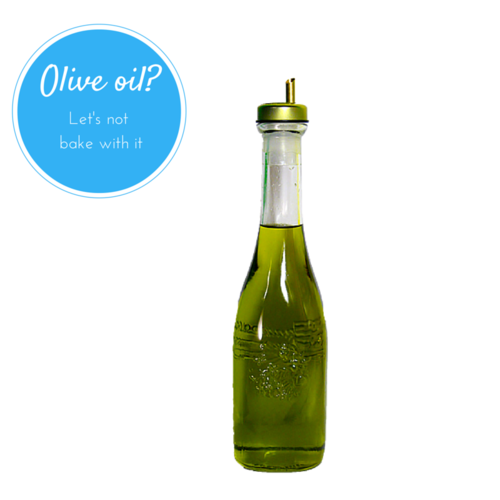 Olive oil is a better choice. Coconut oil is great as well and it has about a million other uses— hair rejuvenation is just the start. Another great replacement is avocado oil. I am a potato lover. I like them baked, fried, grilled, mashed...you name it. But let's face it, white potatoes aren't the best choice. Sweet potatoes are a much better healthy substitution. They have more fiber than regular potatoes, fewer calories, more vitamin C, and provide more than enough of your daily requirement of vitamin A. If you're making mashed potatoes, you can also replace them with mashed cauliflower. This one is fun because all you need is a really good sauce. I always make tomato-based sauces because they are way healthier than creamy ones like Alfredo. The pasta itself can be replaced with zucchini spaghetti, spaghetti squash, and even edamame pasta. You can make tons of veggies into spaghetti by using Veggeti which is a spiral vegetable slicer. Water is the best replacement. Even fruit juice has tons of sugar that you don't need. This is pretty important because sugary drinks are one of the top reasons why people have a hard time losing weight, specially in their mid-section. If you like flavored drinks, try unsweetened tea! Who doesn't love toast in the morning or sandwiches for lunch? There are many ways to make paleo or gluten-free bread. Recipes are available all over the Internet. An even better replacement for morning toast would be a side of sliced avocados, apples, tomato, or cucumber. Instead of using bread slices for sandwiches you could also use lettuce to make a wrap instead. This is a hard one for me. I love chips. The best part is that I still eat them regularly. Kale, spinach, and sweet potato chips are all splendid replacements for regular potato chips! If you're not on the paleo diet, frozen yogurt could be a good option as long as the sugar is kept to a minimum. I am on the paleo diet so dairy is not an option (except cheat day). Instead, I make my own ice cream by blending frozen fruits and adding things like honey and almond butter. Exercising is a very important part of staying fit. But your diet is even more important. It's hard going from eating everything (without limitations) to eating healthy and natural food like fruits and veggies. It's specially hard to do it all at once, but with some hard work, determination, and healthy substitutions, it can be done. Zoë’s blog features recipes that are all egg, nut and gluten free. Before I get into my recipes, I wanted to take this chance to give you guys a few of my food tips when it comes to substituting ingredients in recipes and what you can do to make your life easier. 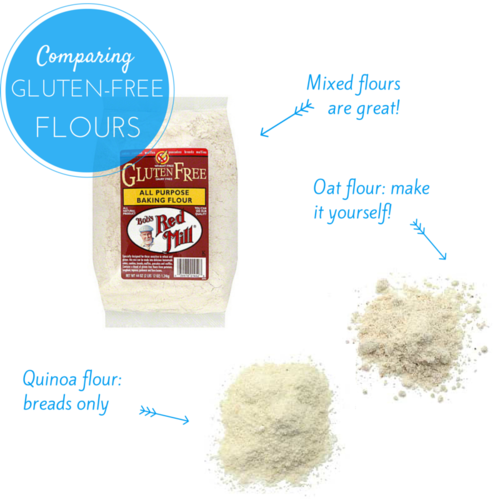 Quinoa flour is great if you’ll be baking breads, or want something with a whole-wheat taste… Otherwise, I don’t suggest baking with it, since it is quite bitter and overpowering. I do have a recipe for quinoa muffins on my blog (Pumpkin Chai Muffins) where it works well. Oat flour… make your own! Buy bulk old fashion oats (less processed) and blend them in your food processor or blender until you get a flour texture. Make sure you store them in hermetic, preferably glass, containers (label them properly as well… you don’t want to go through the pain of mistaking chipotle chili power for paprika like I did last time I was in my mom’s unlabelled spice cupboard). 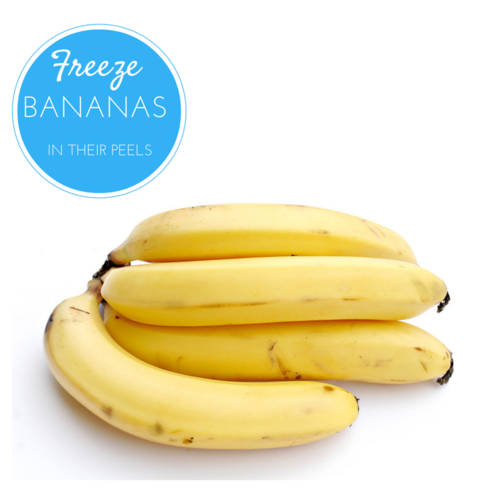 When you’ve got bananas you know you won’t use, just pop them in the freezer! They make super good post-workout treats cut up with a dollop of nutbutter/sunbutter (sunflower seed butter), super good “ice cream”, and great to add to any baked goods or smoothies! Leave them in their peels, so when you take them out of the freezer, let them thaw out a bit and then just squeeze them out! There is a lot of debate about the two; I usually opt for unsalted organic butter. It is more expensive, but I rarely use it, other for cooking or for when I make popcorn. 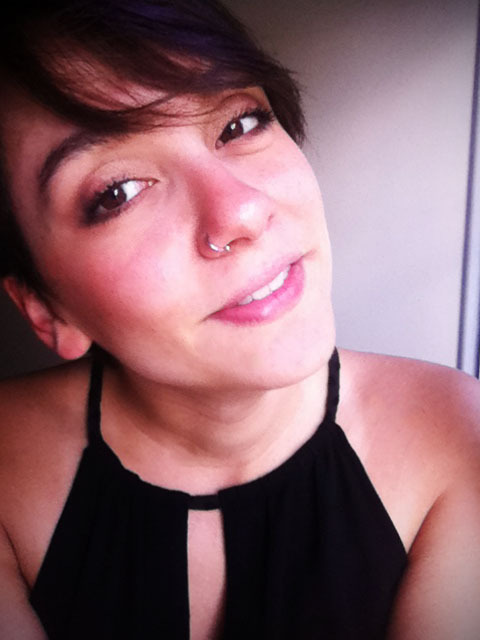 I have the great honor to be featured for this Foodie Friday! I first starting blogging about the recipes I made because my best friend was tired of eating frozen pizzas and take out sushi and needed some inspiration. I’ve always had a great passion for food and fitness, and even more so since I moved out and had to really start looking out for myself. When I was a few months old, my parents discovered I had a life-threatening allergy to eggs. When I was 20, I discovered I was allergic to many different nuts/tree nuts, as well as certain fruits that have a similar protein buildup, such as cherries and stone fruit (plums, peaches, and nectarines). Last fall, I suspected I had a gluten intolerance, so I cut out gluten from my diet while being followed by a dietician. It is important to note that being intolerant to gluten and coeliac are two different things, and it is suggested to not stop consuming gluten if not necessary. Many studies have been written about this, and I am no expert, but it’s important that we all do our homework when it comes to our health! If you’ve ever stumbled onto my blog page, you’ll know that I post recipes that are all egg, nut and gluten free. However, not all of these are originally free of these allergens, and I usually indicate it so everyone can make these yummy recipes! This week, I will be giving you recipes that are all gluten free, but if you’re one of the lucky ones that don’t need to avoid gluten, I have included options for you! First up, a healthy alternative for breakfast, or as quick snack in the middle of the day, this Oat Flour Banana Coconut Date and Cranberry loaf will become your best friend. Second, tired of that old Chicken Noodle Soup? Well I’ve got a spin on a traditional Pho soup, which is just as comforting as it is delicious. Third, you’ll know (if you’ve read my blog, or peeked in my freezer) that I have probably around 3 to 4 different frozen meals in my freezer for the sake of practicality and laziness. As I am writing this, I realized that both my lunch (frozen portion of Chickpea and Spinach Masala) and my supper (Sicilian Chickpea and Squash Stew) will have been out of my freezer. So, I am offering you a version of my all-time favourite Jamie Oliver recipe, his Vindaloo (you can make it vegan or full o’ meat), which is an excellent recipe to freeze off some portions for quick lunches and dinners. Finally, I have a fall treat for y’all with a sweet tooth but that can never find a recipe that caters to your allergies… You’ll have to scroll down to see what it is!